Born in 2009 and 2010 play from 1:00 – 2:00 p.m.
Born in 2007 and 2008 play from 2:00 – 3:00 p.m.
Born in 2004, 2005 and 2006 play from 3:00 – 4:00 p.m.
Born in 2004, 2005 and 2006 play from 4:00 – 5:00 p.m.
Born in 2002 and 2003 play from 5:00 – 6:00 p.m. The YBL is a non-profit organization. 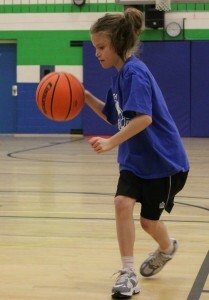 The emphasis is on fun and skill development. No previous basketball experience is required. Each participant will receive a t-shirt (mid to late November), a team photo and medal at the end of the year. Fees are $60 for one player and $50 for each additional player in the same family. 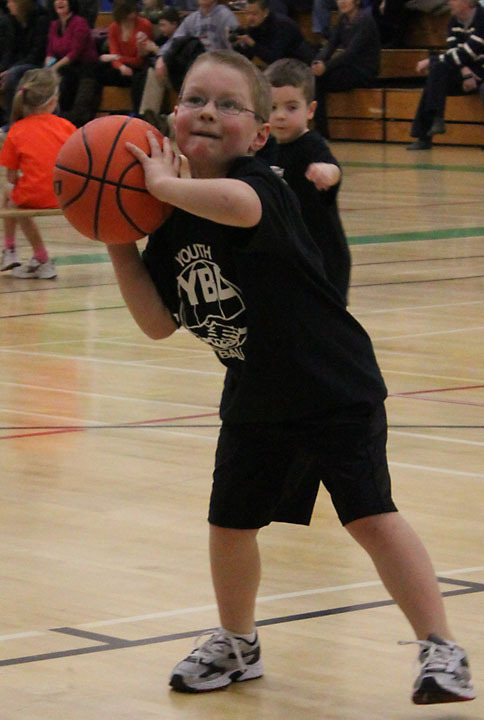 To register for 2015-2016 season, please complete the registration form and mail it along with a cheque payable to ‘YBL’ to YBL, 539 Glacier Street, Waterloo ON N2V 2K3. Applications without payment will not be processed. For those registering in the younger ages (ages 5-8), these sessions typically fill up quickly so you may not want to delay. Registration is on a first come basis. * Participants should bring a water bottle each week (with their name on it) and wear comfortable clothing and indoor running shoes. 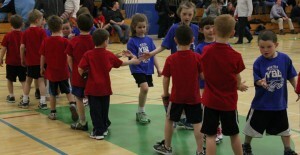 * YBL House League can not run without volunteer coaches. Our goal is 2 coaches per team. Please come forward on October 18 if you can help coach. * Children that are not participating are not to be left unsupervised in the hallway and neither are they allowed to climb the bleachers. We require your assistance with this to remain in good standing with St. Davids and the Catholic school board.